Jay L. Hess, M.D., Ph.D., dean of the IU School of Medicine and vice president for university clinical affairs at IU, sat down with Inside Indiana Business recently to discuss his first year on the job as leader of the second-largest medical school in the country. Dr. Hess discussed the school's 5 to 10 percent increase in federal research grants over the past year -- including major awards from NIH's National Center for Advancing Translational Science and a joint award from NCAA and Department of Defense -- as well as delivered an update on the $150 IUSM-IU Health Strategic Research Initiative. On the subject of academics, Dr. Hess pointed out the school's 39 percent increase in applications over the past year, its record class size of 352 students across nine campuses and its status as one of only 11 medical schools in the country to receive a $1 million curriculum innovation grant from the American Medical Association. Other topics included plans for campus expansion, including a number of upcoming building projects on the site of the former Wishard Hospital. The complete interview can be viewed on Inside Indiana Business. Gifts totaling $1 million in honor of the 40th anniversary of the cure for testicular cancer were announced Sept. 27 at a celebration for the physician scientist who developed the treatment. Family, friends, colleagues and men grateful for their lives gathered at the Indianapolis Museum of Art to honor Lawrence Einhorn, M.D., IU Distinguished Professor and Livestrong Foundation Professor of Oncology at the IU School of Medicine and a researcher at the Indiana University Melvin and Bren Simon Cancer Center. The funds will support a new survivorship research program using gene sequencing technology. Dr. Einhorn’s personalized medicine approach will allow a treatment team to evaluate the risks for adverse side effects before therapy and map a treatment plan that reduces toxicity and anticipates and manages unavoidable complications throughout each patient’s lifetime. A total of $700,000, which will launch the program, was contributed by multiple grateful patients and friends of Dr. Einhorn. This includes a leadership gift of more than $500,000 from A. Farhad Moshiri of Monaco. Mr. Moshiri had previously created the Lawrence H. Einhorn Chair with a $2 million gift. The Einhorn Chair will be held by the survivorship program director. The children of Sidney and Lois Eskenazi also have pledged $300,000 to honor Dr. Einhorn and celebrate their parents’ 60th wedding anniversary. 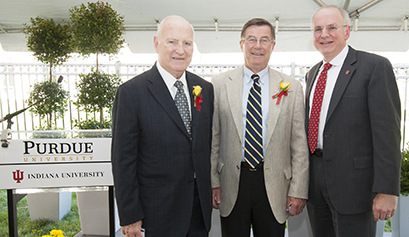 The gift from Sandy, Dori (Meyers), and David Eskenazi and their spouses established the Sidney and Lois Eskenazi Fellowship at the IU School of Medicine. It was in September 1974 when Dr. Einhorn tested the platinum-based drug Cisplatin with two additional drugs that were effective in killing testis cancer cells. The combination became the cure for this once deadly disease. There are now more than 300,000 survivors today because of Dr. Einhorn’s research. IUPUI Campus Health will again offer free flu shots to IUSM faculty, staff, house staff and students during the 2014-2015 flu season. Flu shots will be distributed starting on Oct. 6. Faculty, staff, house staff and students can obtain a flu shot at Campus Health (Coleman Hall, Suite 100) or a Campus Health outreach flu vaccination clinic. Students only can also obtain a flu shot at Campus Center Student Health. No appointment is necessary. All individuals must present a valid university picture ID to obtain a flu shot. Students will be asked to present a health insurance card but will be able to receive a free flu shot regardless of whether or not they have health insurance. 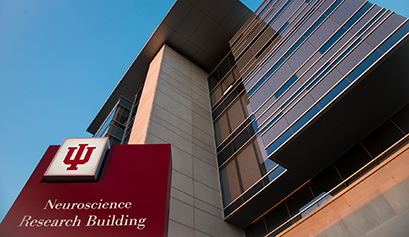 IU Neurosciences Research Building -- noon to 2 p.m.
VanNuys Medical Sciences Atrium -- 8 a.m. to 4 p.m.
Eugene and Marilyn Glick Eye Center -- 7 a.m to 9 a.m.
All IUSM faculty, staff, house staff and students who provide clinical care to IU Health or Eskenazi Health patients, perform clinical research at IU Health or Eskenazi Health, or whose primary office is in an IU Health or Eskenazi Health are again required to receive a flu vaccine this flu season. The deadline for receiving the vaccine is Nov. 21. Individuals requesting a waiver due to an evidence-based medical contraindication to the vaccine must submit a Flu Vaccine Medical Exemption request by Oct. 31. Those wishing a religious exemption can use the same form and just note they are requesting a religious exemption. IUPUI Campus Health is charged with tracking flu shot compliance for IUSM house staff and students. Flu shots received from Campus Health will automatically be tracked. House staff and students who opt to receive flu vaccination from IU Health, a personal physician or elsewhere must submit their flu shot consent form to IUPUI Campus Health at healthsv@iupui.edu or via fax at 317-278-6929. We recommend such individuals take a picture of their flu consent form with their smart phone immediately upon receiving the vaccine and email it to healthsv@iupui.edu. The seventh annual IUSM Art Exhibition “Scientific Inquiry, Artistic Expression” is accepting entries to showcase the work of the students, staff, faculty and alumni of the IU schools of medicine, nursing, dentistry and health and rehabilitation sciences, Fairbanks School of Public Health and employees of Roudebush VA, Eskenazi Health and IU Health. The deadline for submitting work is 5 p.m. Monday, Oct. 27. All artwork must be ready for display, particularly hanging items. To submit work, visit the submission page. "Scientific Inquiry, Artistic Expression" will begin with a one-day show in the atrium of the VanNuys Medical Science Building, followed by a month-long display in the IUPUI Campus Center Cultural Arts Gallery. The exhibit in the VanNuys atrium will be from 10 a.m. to 4 p.m. Friday, Nov. 21. The works of art will also be displayed in the Cultural Arts Gallery from Nov. 29 to Jan. 2. A Meet the Artists Reception will be from 4 to 6 p.m. Thursday, Dec. 18. The exhibits and the reception are open to the public. For more information, contact Mary Hardin at 317-274-5456 or mhardin@iu.edu. The IU Simon Cancer Center’s Clinical Research Office has earned a "top performance" award from Forte Research Systems, host of the Research Resonance Network. The award recognizes sites for their efforts to improve clinical research operations by contributing and comparing their metrics to an anonymized aggregate of peer organizations in the network. The scores of each organization were determined by combining metrics across all categories and by comparing an organization’s percentile rankings to those of similar organizations. The metric categories cover several areas in the study start-up process such as IRB Cycle Time, PRMC Cycle Time, and Open-to-Accrual-to-First-Patient-In Cycle Time. "By using Research Resonance Network, we've been able to decrease our IRB cycle times by two weeks," said Kerry Bridges, administrator for the Clinical Research Office. "The tools help us visualize areas that need improvement, which assists us with reaching our performance goals." The Research Resonance Network is a collaborative community of sites that are committed to the pursuit of excellence in clinical research operations. Tools available through the network assist sites with their continuous improvement, resource allocation, and study selection goals. The awards are intended to highlight members for their achievements and encourage collaboration. The other two top performers were Iowa University Holden Comprehensive Cancer Center and Levine Cancer Institute of Carolinas HealthCare System. Two-time Pulitzer Prize-winning biologist E.O. Wilson and social and literary critic Katherine Hayles will address the question "What Makes Us Human?" from 7 to 9 p.m. Wednesday, Oct. 8, at the Indianapolis Central Library, Clowes Auditorium, 40 E. St. Clair St. The presentation is the inaugural event of the IUPUI Arts and Humanities Institute Entanglements Lecture Series, a collaboration between the IUPUI Arts and Humanities Institute; the Spirit and Place Festival, affiliated with the School of Liberal Arts at IUPUI; and Indiana Humanities. The Entanglements Lecture Series is sponsored by the Efroymson Family Fund, the IU School of Dentistry and the Indiana Clinical and Translational Sciences Institute. Wilson, professor emeritus and honorary curator in entomology at Harvard University, is a prominent environmental advocate and considered the world's leading authority on ants. Hayles, professor of literature at Duke University, is a leading social and literary critic whose interests include cyborg anthropology. Wilson and Hayles will discuss whether human and animal societies are that much different, how and when we became human, and whether we now are living in an age of cyborgs. To get lecture tickets, visit Eventbrite. The HANDS in Autism Center will host a Treat Trail from 10 a.m. to 4 p.m. Saturday, Oct. 4, in Zionsville, Ind. The trail begins at A Space to Create, 65 E. Cedar, Zionsville, IN 46077. All funds raised from this event will go towards scholarships for children, individuals, families and professionals to participate in programming and training at the HANDS in Autism Center at Riley Hospital for Children. Treat Trail goers can spend the day shopping at boutiques and stores, visiting art galleries and eating lunch at a locally owned restaurant. While shopping, trail-goers will collect a "treat" at each participating store, completing the trail with a bag full of delicious items. Trail-goers will also gave the opportunity to win door prizes. Tickets are $25. The HANDS in Autism Interdisciplinary Training and Resource Center was founded in 2004 to extend the outreach and training offered by the Christian Sarkine Autism Treatment Center at Riley Hospital at IU Health and the IU School of Medicine. For more information, visit the HANDS in Autism events page. To purchase tickets, visit RileyKids.org. Questions to HANDS in Autism at hands@iupui.edu.